Over the years, I've cycled through my fair share of business cards. I've been using MOO for the last couple years. MOO's cards offered a solid, beautiful look with a plethora of options for customization. Through MOO, I printed a number of variety packages, predominantly with the smaller, strip sized cards. This was followed by the oversized MOO cards. I liked them well enough, but there was always something about them that felt forced, as if I were begging someone to pick my card out of a lineup. When I set my card down at a coffee shop, I left them image up, of course, but they swam in a myriad of stacked, shifted, and disheveled cards from creatives throughout the area. Although my images were unique, the cards didn't feel like me. Although nice, there was something missing from the presentation of this card. Whether that be design, or materials, I haven't yet decided. My most recent redesign started to move back into a classic style, with a modern appeal. 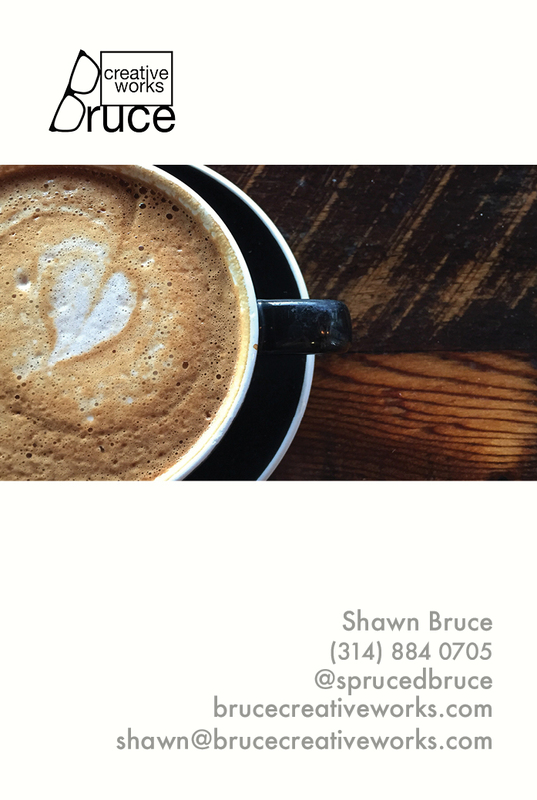 I rotated an oversized MOO card, placed an image in the top third along with my logo, and let my information sit below. I left the back plain, figuring that it wasn't going to be seen often anyway. The card was exciting when I initially created it, but it failed to keep my attention. It was a simple, straightforward card; one could even say that the card was attractive. Nevertheless, the smooth, glossy finish, coupled with the added weight, had me reminiscing of the business cards I saw as a child. There was still something missing. The era of simple business cards seems to have fallen to the wayside, a part of a bygone era. Despite this, I wanted to create a simple card again. I wanted something that spoke to who I was, what I wanted to photograph, and not get in the way of showing off my work. My ambitions pushed me to design a card that just gave my information and showed off my logo only. I questioned if this was the right move. With so many photographers throughout St. Louis and more broadly, the Midwest, I wanted something that stood out, but I ended up blending in. This card gave a simple presentation. It reminded me of the cards that covered my father's dresser and tied into the photography that I long to create: simple, classic. The final design of the card I ordered through Vista Print. I still have a few days until I receive my new order in the mail from Vista Print, but I've already stopped giving out my MOO cards. While at Shutterfest this year, I chose to connect with photographers through Instagram and Facebook rather than trading cards. It was a little odd, especially for those who don't utilize Instagram, but then again, maybe that's a difference that will make me stand out.